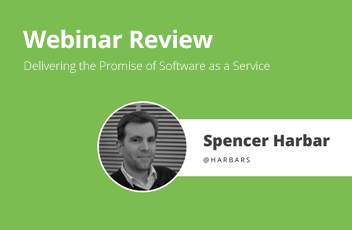 Delivering the promise of Software as a Service with Hybrid Solutions - Webinar. In the last two years Microsoft’s “cloud first” mantra has come to fruition, delivering the promise of Software as a Service with cloud offerings such as Azure and Office 365. Delivering the benefits of these investments to the enterprise inevitably means a hybrid deployment over the medium term. This keynote will cover the future roadmap for such deployments, and the key considerations in terms of migration, security, compliance, identity and infrastructure readiness. Coverage of the imperatives that continue to drive adoption of SharePoint on premises, especially in large enterprises along with the consequences of deployment. If you care about meeting enterprise business requirements in the fields of collaboration or information management, this session is essential. On the end, if you are in the reality of the hybrid world, we would like to point you to the offering of our partners from Combined Knowledge - in-depth Hybrid Training with one of the leading SharePoint industry experts Matthew McDermott, SharePoint MVP, that teaches you how to Configure Hybrid Workloads in SharePoint and Office 365. Does not SaaS approach increase the danger of Shadow IT, which is unsolicited use of cloud applications inside enterprises? When deploying SaaS solutions in the enterprises, the same level of project planning, management and control is needed as with deployment of traditional software solutions. Nothing is going to replace careful planning and implementation. Of course, the SaaS solutions being deployed must offer tracking, management and control over the deployments, and skybow Solution Studio is a great example how it is done properly. What about governance and ALM cycle in deploying SaaS based solutions? We are witnessing that lot of cloud solution avoid this part completely? Again, this is something that needs to be considered when choosing the appropriate solution. There are solutions, such as skybow Solution Studio, which fully support solution change, upgrade and retract as an integral part of lifecycle.